To review, when the service record I ordered for my third gr-grandfather’s brother, Augustus Blanton (1839-1865) arrived, it was incomplete. I did not know how his service ended. I only knew I could not find record of him and his new wife after the war. The way I learned about his death was with the help of my favorite reference librarian at my local public library. 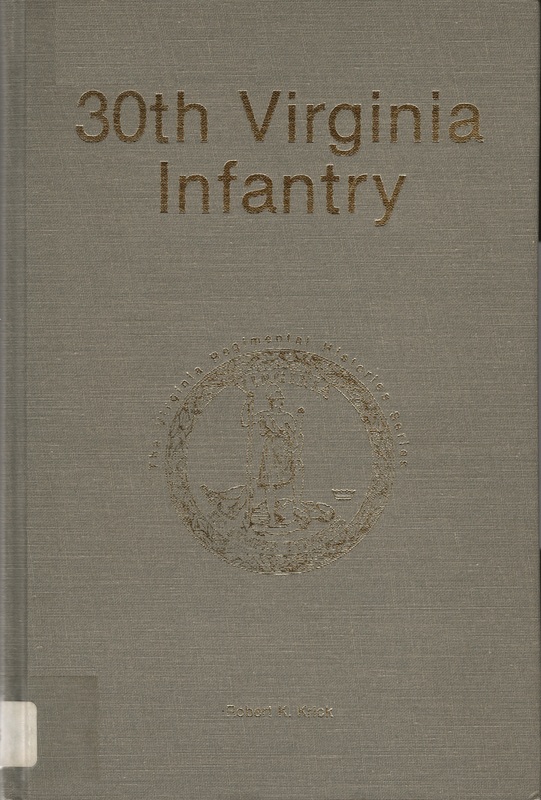 She directed me toward a wonderful series called The Virginia Regimental Histories Series. If your library doesn’t have it in its collection, ask for it via inter library loan. 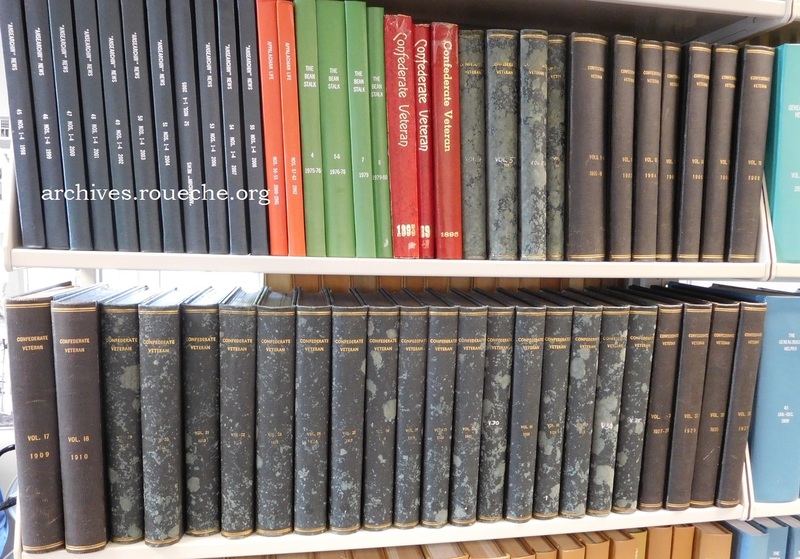 There is a volume for every regiment, which means the collection is huge. So, be specific when making a request. Here is Augustus’ entry on page 82. 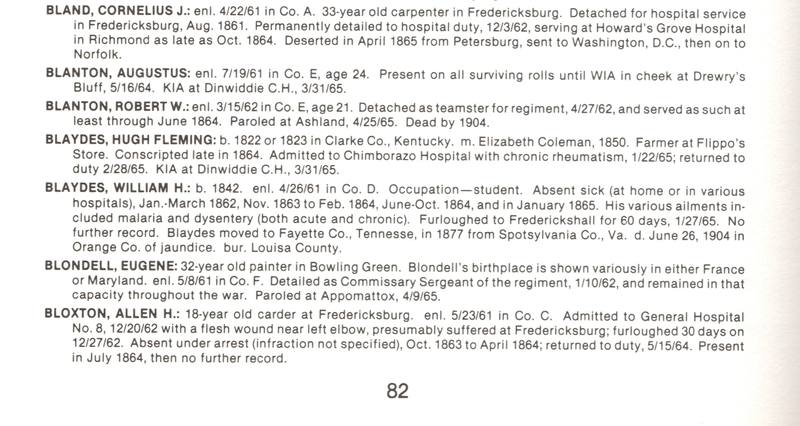 You can see that the soldier listed two names beneath him also died in the same battle. There is so much good information in these books. 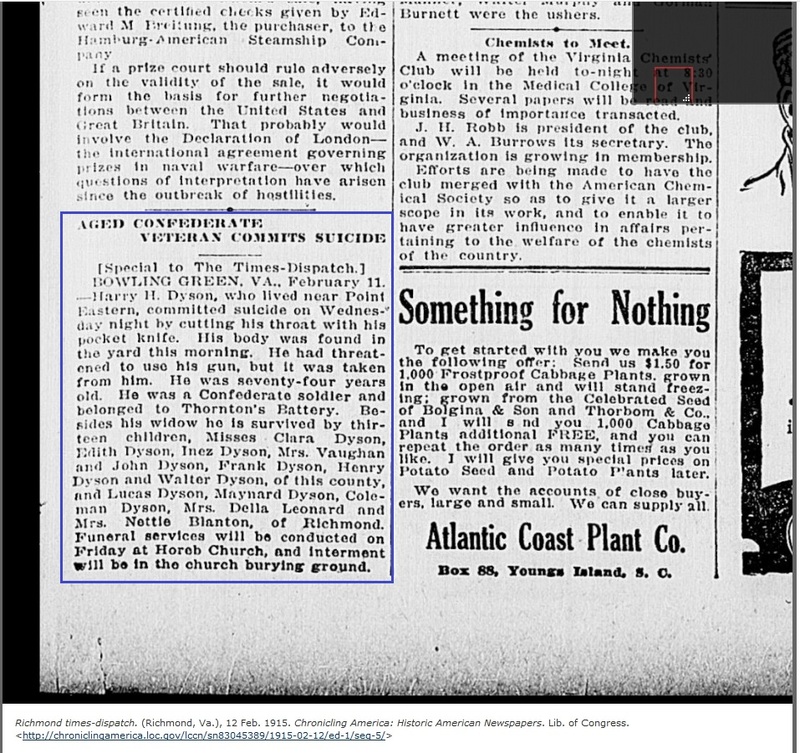 I wanted to know more about Augustus Blanton and about my other soldier-ancestors, but I had to get over that “being sad for someone who died tragically even though he wouldn’t still be alive, today, anyway” feeling. Do you know what I mean? I wasn’t prepared for what I found. I held my breath until I compared the list of surviving children mentioned in the article to the names on my tree. This was my Henry. My heart broke. I couldn’t speak about it for three days. 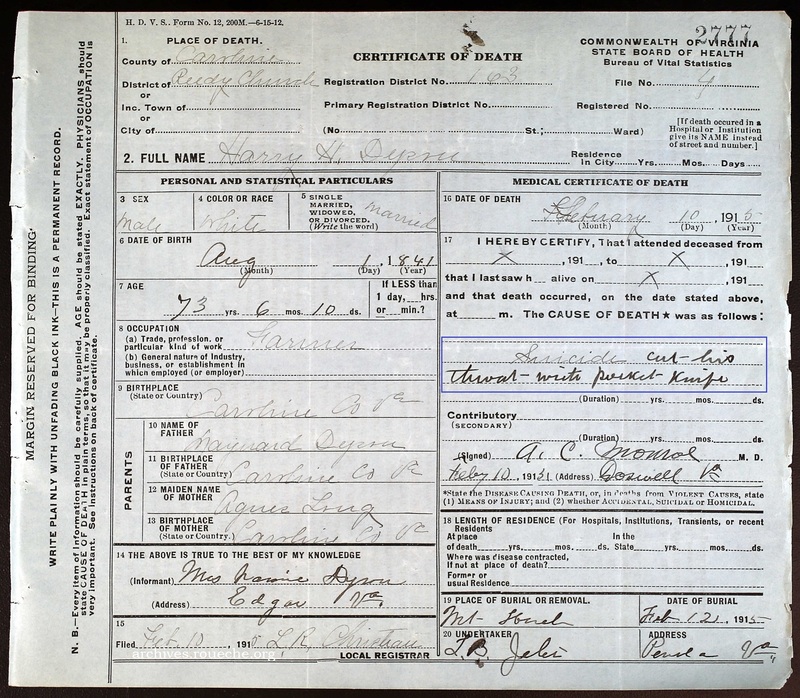 When I finally added the death date to Henry’s page on FamilySearch, I was able to locate his death record and attach it. War claims its victims. Sometimes not in the same century. It is too late for me to make Henry’s life better or easier. I think by documenting it, however, and those of his children, I can honor him. I hope that by sharing this journey of discovery and all of the sources I used, I can help some other family researcher and, in some small way, that honors my kindred dead, as well. Here are a few more wonderful resources to help you find information and possibly even photographs of your soldier-ancestors. Finding images of your veteran ancestors was Scott Fisher’s podcast discussion with photo expert Ron Fox on Extreme Genes Episode 165. They specifically mention the U.S. Army Heritage and Education Center in Carlisle, Pennsylvania. 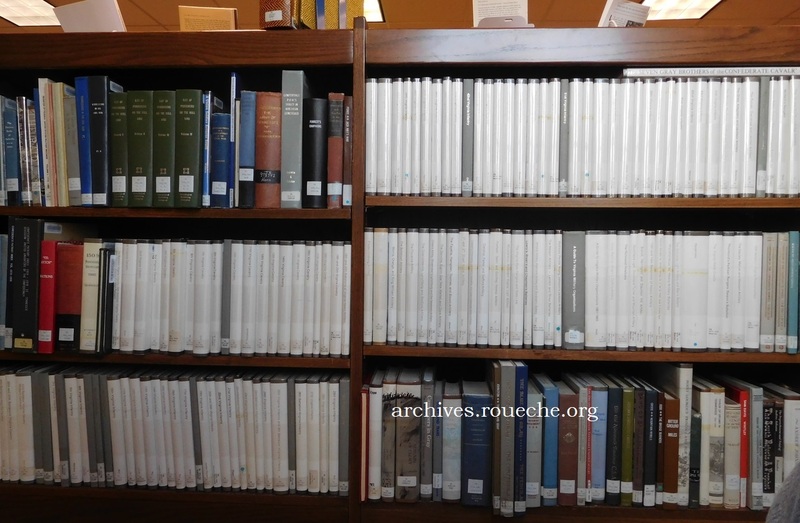 Several of the repositories they mention have to be visited in person but many have digitized materials online. National Archives Civil War Photos online collection. With any of these sources, try searching under the regiment name or battle site. 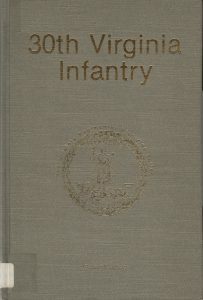 The Confederate Veteran magazine. 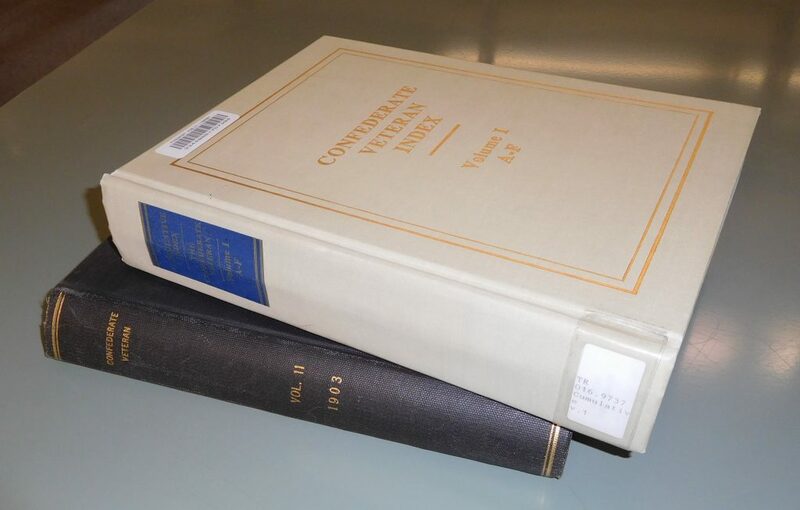 First published in 1893, my library has bound volumes through 1923. I used the index and searched by surname, unit name, and battle site. These aren’t just filled with ‘Lost Cause’ rhetoric. There are many touching and honest stories. You could spend days reading the first-hand accounts. Here’s what my library’s collection looks like. This soldier, pictured here as a child, died one day after Augustus in the same battle. Museums, National Cemeteries, and historic sites. Many battle sites have been preserved and have interpretive tours. See the National Park Service website for a list of locations open to the public. For veteran cemeteries, the Veterans Administration has a listing, here. The NPS has their own list, here. Richmond, Virginia is rich with Civil War heritage, including Oakwood Cemetery, Chimborazo hospital, and a NPS visitors center and museum. Good luck to you on your soldier-ancestor discovery journey. 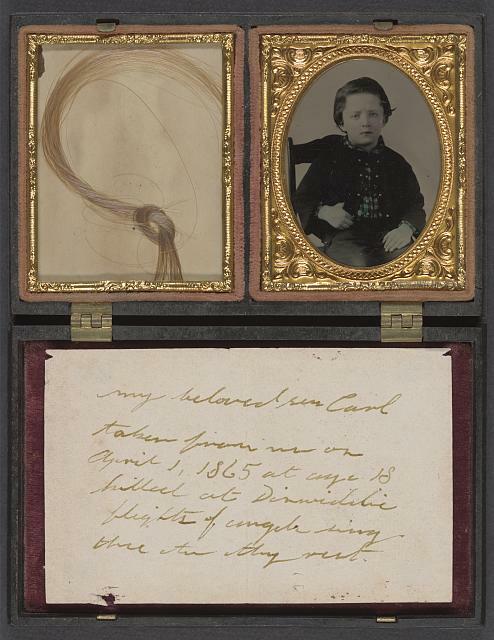 This entry was posted in Genealogy and tagged Blanton, Civil War, Dyson, genealogy, historic photographs, research. Bookmark the permalink. The stories that our research reveals are the true gems of genealogy research. It is so much more than a name and date of birth, death, and marriage. You are very good at digging out the story of your ancestors. Thank you for letting me be a part of it by publishing them in your blog. It makes me want to dig deeper for my own families stories. Ah, my favorite reference librarian! Kari, you never cease to amaze with your endless, never-give-up work that you do. This was a very touching post. It gave me pause to consider the tireless work you do to help people find information about their ancestors through your searches. And a reminder that this information comes with emotional consequences of many types.